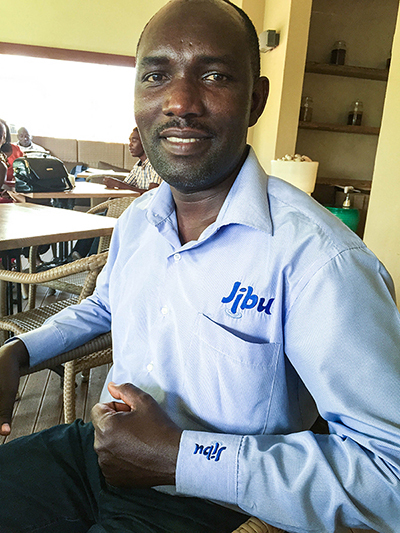 Editor’s Note: Jibu supports entrepreneurs in East Africa to provide pure drinking water to their communities through a profitable franchise model. By providing equipment, training, financing, and “business in a box”, Jibu helps aspiring entrepreneurs like Alfred Edekasi reach goals that once seemed unattainable, making a profit and creating lasting social impact. Jibu is one of the newest partners of the Skees Family Foundation. We support them with an equity impact investment, believing that their mission of fulfilling a basic human need is worthwhile. We appreciate that Jibu approaches its work through building up the local economy and establishing locally owned and operated franchises. We are excited to be a part of this job-creation organization. 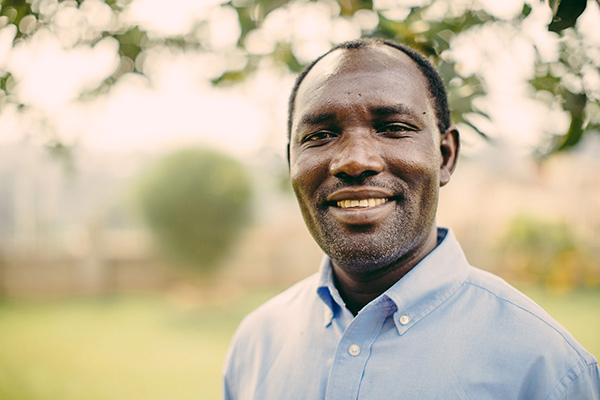 Throughout his youth, Alfred dreamed of a better life, one unmarred by “the scarcity of literally everything.” Growing up in a small Ugandan village, Alfred admired his mother, struggling as a single parent to make a life for herself and her children, but limited by lack of resources and opportunities. At a very young age, he developed “a hatred of poverty” which impelled him to walk nearly 20k a day to attend school and work numerous jobs. Alfred in his Jibu gear! Alfred became one of the first students in his village to complete high school, and the only one awarded a scholarship to attend university. Upon graduation, he moved to the city to find a good job, but continually remembered “the people left behind”. As he began a successful career, Alfred sought ways to improve his community. Some of his projects included starting a micro-finance group for widows who had lost their husbands to war or HIV/AIDS, developing educational programs on sanitation and hygiene, directing skills development for youth, and gathering funds to build wells. 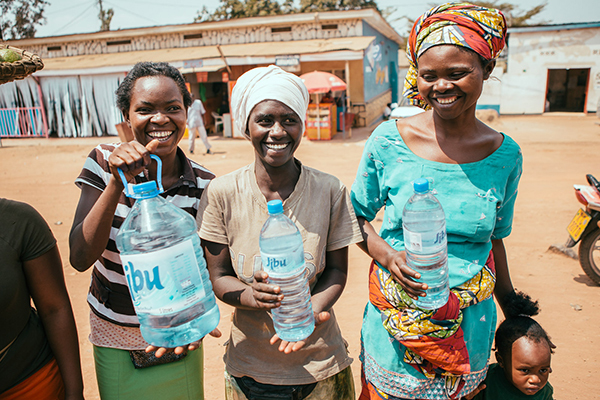 Women receive safe, clean water from Jibu. Photos and video provided by Jibu. LEARN more about Jibu here. DONATE to Jibu’s mission to make safe water affordable to everyone by clicking here.